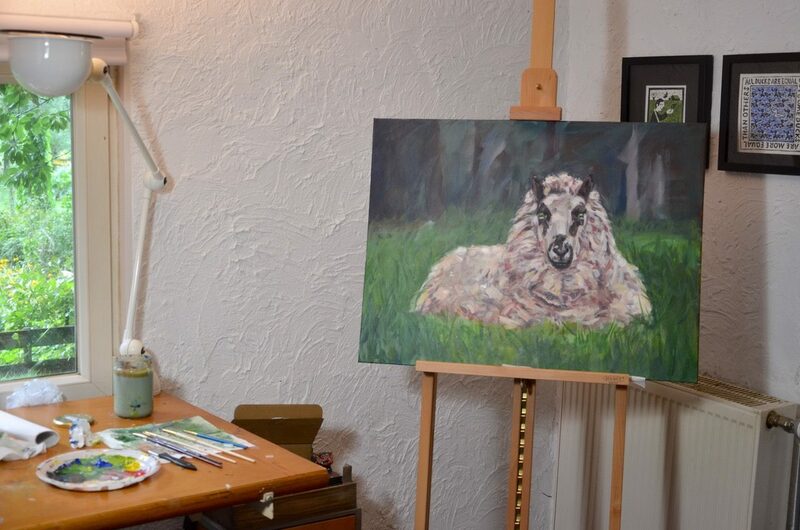 Patsy's portrait is coming along nicely, there are moments that I think I'm done but then I can't help myself and add a few more brush strokes which send me in a new direction and I have to look at it in a whole new light. It's an adventure and I'm enjoying myself. I'd love to have it finished for the fair on Saturday but I can't/don't want to force it. Patsy was a beautiful grand dame so this portrait should be as perfect as I can make it.